We'd love to hear about your personal experiences with pomegranates, pomegranate trees, and just what you think overall about pomegranate trees. Write to us and tell us about how you've grown your own pomegranate tree and enjoyed the fruit from it. How long did it take to grow? Did you have challenges along the way? 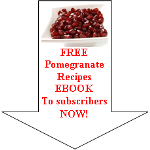 Do you have tips about growing, pruning, and fertilizing pomegranate trees? We'd love to hear what has worked for you in your part of the world! Tell us where your pomegranate trees are growing! How did you get into growing pomegranates? Did you start your orchard from seeds or seedlings? How long did it take for your trees to mature and produce fruit? It's always interesting to hear about people who were interested in pom fruit and then decided to grow their own. Tell us all about why you liked the idea of growing these trees and whether or not the experience has been what you'd thought it would be! Did you have a relative who had pomegranate trees? Do you remember them as a child? Did you climb these trees ever? We'd love it if you'd share your memories with us! Perhaps you ate fresh pom fruit that your grandfather, grandmother, or uncles used to grow? Relate your experience of tasting the fresh seeds as a snack or tell us about the way you enjoyed them as a child. Maybe you've never grown a pomegranate tree, but think you'd like to! Tell us how you think your pomegranate tree story might go. Your submission could become a page on our website! Isn't that exciting? We look forward to hearing from you and appreciate you sharing with us! Do you have your own unique pomegranate tree story? We happen to think that everyone does! 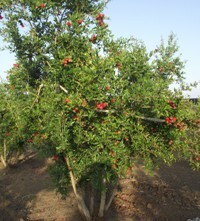 Read enough about pomegranate tree story and want to discover more about the pomegranate tree?